I think if my son could, he'd quit his job just so he could see this movie on it's premier night. He never works on Thursday, and I'm pretty sure as soon as he heard he worked Darth Vader yelled, "Noooooo!" I reassured him that we'd go on Sunday. He works 3 days in a row. hahahaha poor kid! 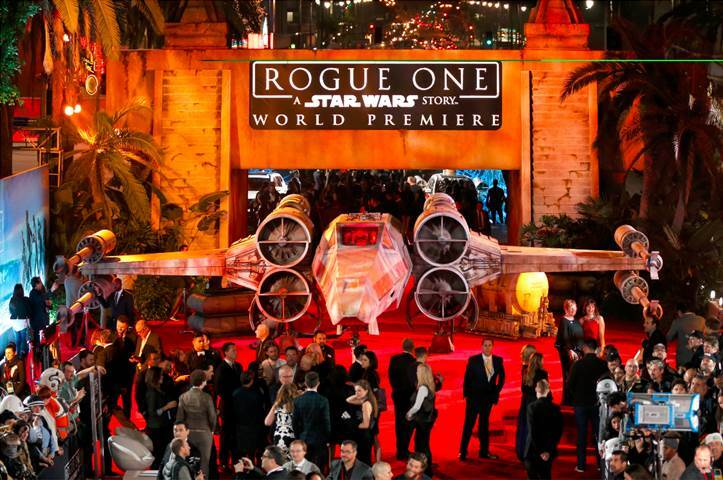 That being said, check out these photos from the World Premiere of Lucasfilm’s highly anticipated, first-ever standalone Star Wars adventure, ROGUE ONE: A STAR WARS STORY are now here! 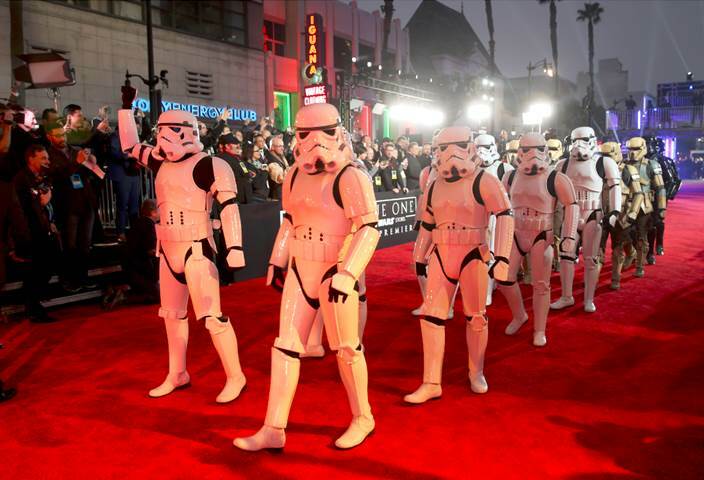 Felicity Jones, Diego Luna, Riz Ahmed, Ben Mendelsohn, Mads Mikkelsen, Alan Tudyk, Donnie Yen, Director Gareth Edwards, Producer Kathleen Kennedy and many more were all in attendance, shutting down Hollywood Blvd alongside a full scale X-Wing. ROGUE ONE: A STAR WARS STORY arrives in theaters everywhere this Friday, December 16th in 3D, Real D 3D and IMAX 3D!